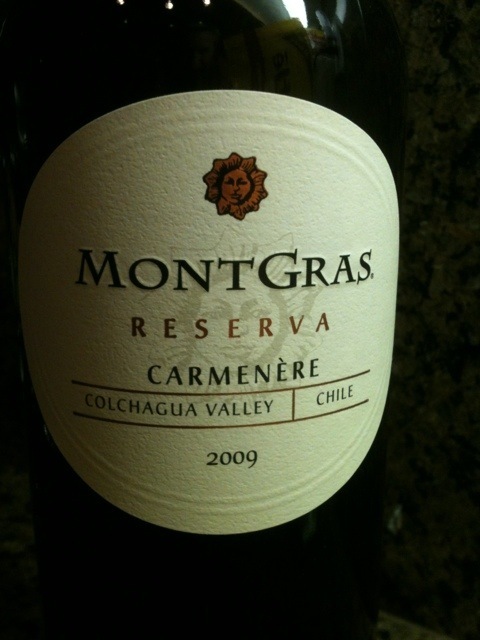 If you have not heard of the Carmenere grape varietal, you probably aren’t alone. 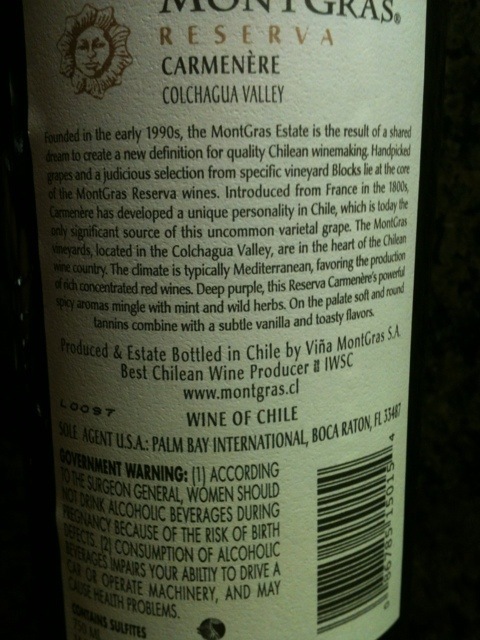 The Carmenere is Chile’s own signature grape. When I picked this up at the wine store it seemed like a good purchase, “had not heard of the vineyard and had not heard of the varietal” two things I love about wine. This wine is fantastic. The varietal was introduced into Chili from France in the 1800’s and has now developed into the only significant source of this uncommon varietal grape. 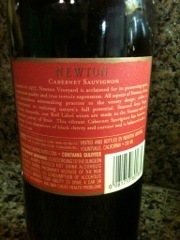 This is a rich concentrated red wine with deep purple and spicy aromas. With a hint of mint and wild herbs in the initial glass. It finishes with subtle vanilla and toasty flavors. 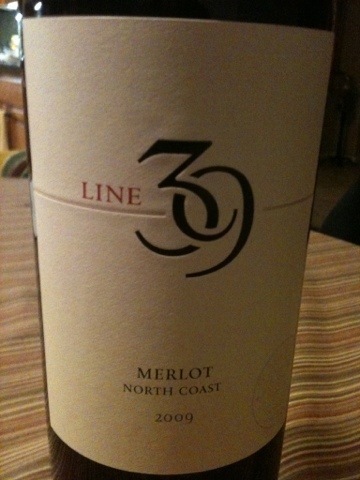 This definitely ranks as one of the best wines under $20 we have had in a very long time! 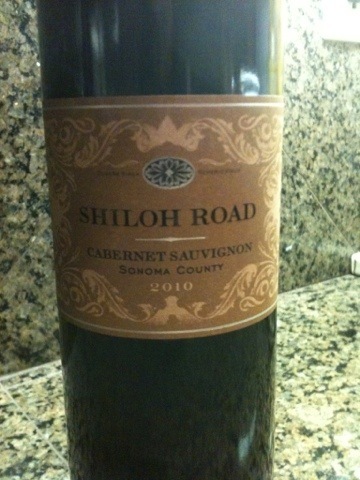 I had not heard of this vineyard before but wanted to give it a try during the holidays. 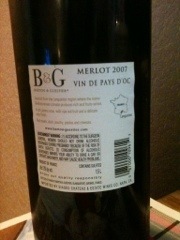 Sourced from the Languedoc region in France, this wine had a somewhat jammy nose with a oaky very delicate finish. Unless you find it for a great price I would probably pass on this one. TheXPRT Wine Review Rating – 79 out of 100. 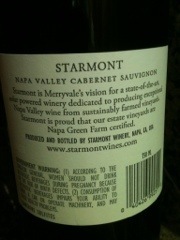 I had heard of this vineyard previously. 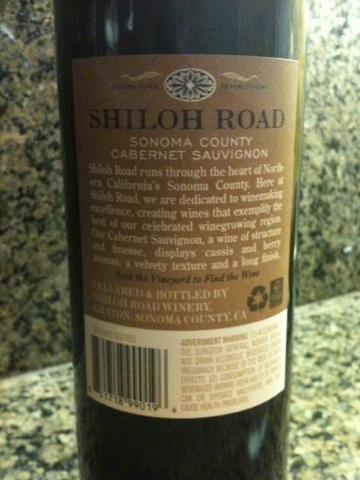 The great thing about St. Helena and as noted on the bottle with this vineyard, it is on the 39th parallel. 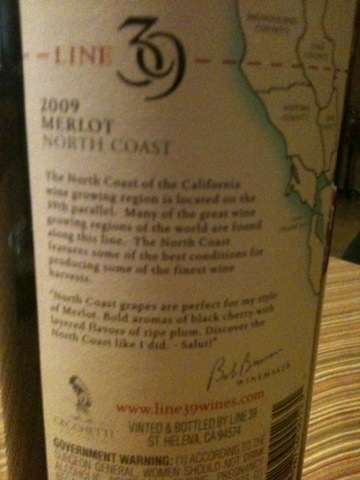 Many of the great wine growing regions of the world are found along this line. 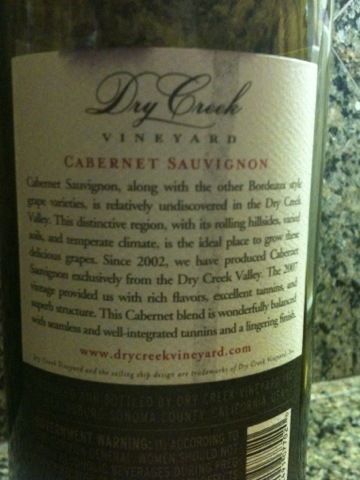 Upon first opening the bottle we definitely got a hint of the black cherry they mention. While I am looking for the black plum they call out on the label I got more of light peppery flavor, just a hint though. Paired this merlot with a honey butter pork tenderloin dish and it went very well as I would expect it would with most meat dishes. It had a somewhat intense start but a very good finish. Give it a try if you have a chance and tell us what you think. It was just under $15 at our local wine store. We have been big fans of the McLaren Valley in South Australia for a long time. This was our first time trying a Shiraz from this vineyard. The vineyard produced its first bottles back in 1842 and continues to produce great wines today. 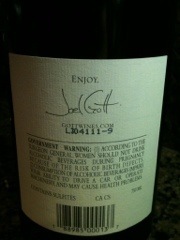 This wine has a very full body with what I would consider very strong blueberry flavors. 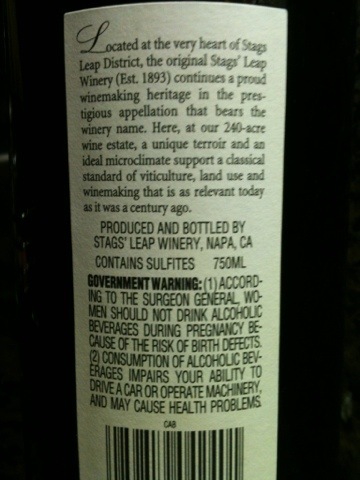 Certainly a pretty complex wine, I am glad we purchased it. 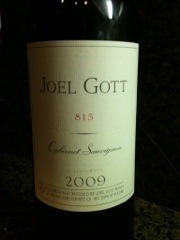 We are pairing it with a roasted rosemary chicken dish and it was great. 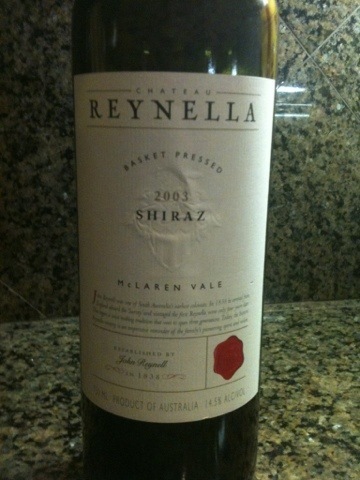 It was under $15 at our local wine store and we will certainly will be looking for others from Chateau Reynella in the future. 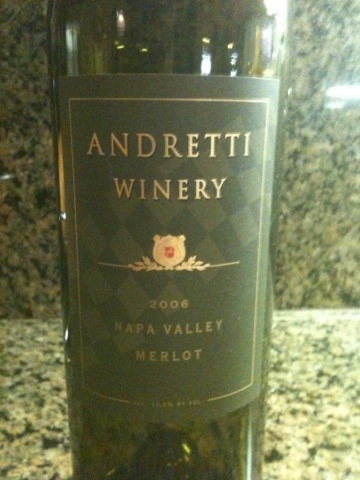 If you get a chance, you have to stop by the Andretti Winery in Napa Valley. 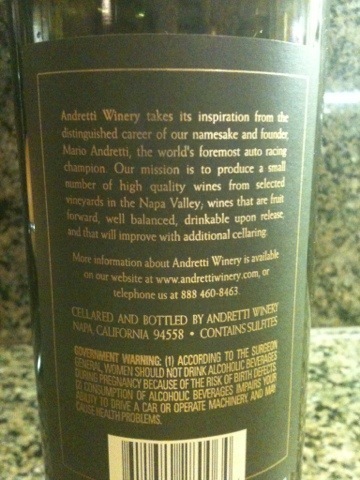 The wine takes its inspiration from the distinguished career of its namesake and founder, Mario Andretti. 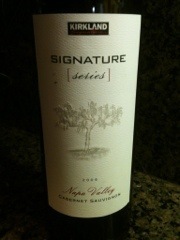 We purchased this 2006 Merlot on our most recent trip to the vineyard. While a little off the beaten path in Napa it is well worth the stop. Most of these wines will be fruit forward, well balanced and have a great finish. 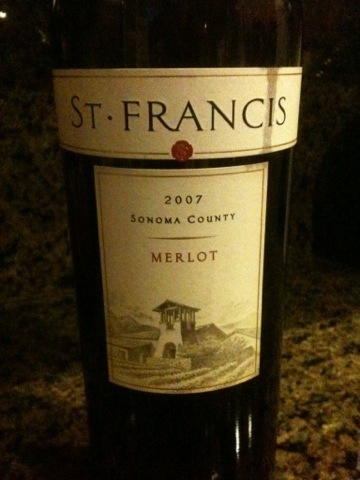 This particular Merlot did not let us down. 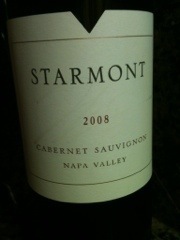 We paired it with a great grilled ribeye and it was fantastic. With a long and smooth finish we will definitely be purchasing more in the future. While around $25 a bottle it is well worth the stop. 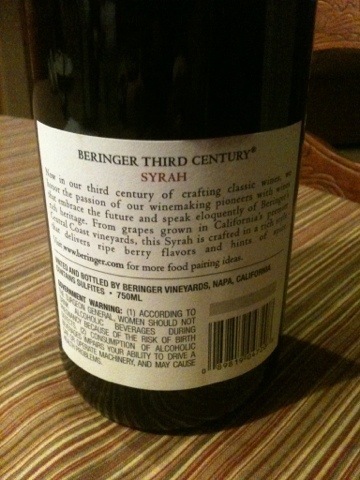 Beringer started making great wines in 1876, worth the stop at the winery in Napa Valley if you are there. 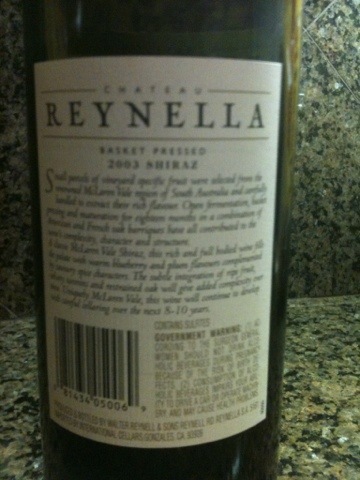 This wine we purchased at under $20 was spectacular. 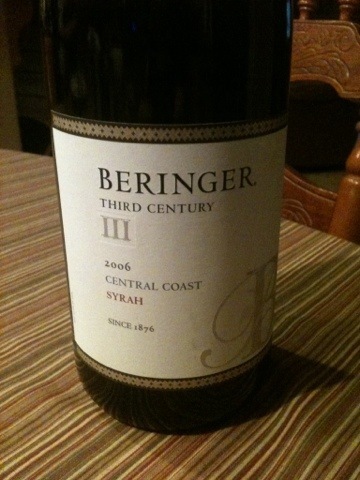 From Beringer’s Central Coast vineyards this Syrah is crafted in a rich style that delivers ripe berry flavors and a hint of spice. We would highly recommend this wine with a pairing of a spicy pasta dish or beef. This one snuck up on us. 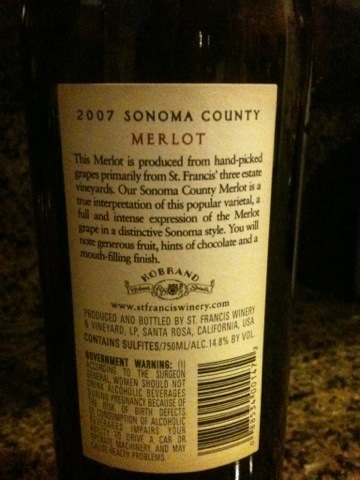 Purchased this 2007 merlot on a recommendation. 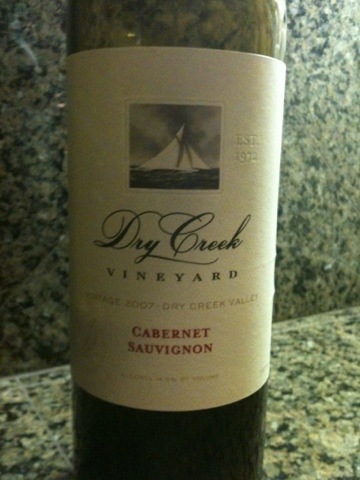 Glad we took the recommendation, this wine has a great start and a very smooth finish. 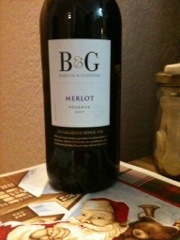 We purchased this at our local wine store for around $15 and it was well worth it. We paired it with a spicy pasta dish and it was spectacular. With a note of generous fruit, hints of chocolate and a mouth filling finish you can’t go wrong. Buy this one if you see it. Release date: September 10, 2010Taste: Inky crimson center with matching rim. 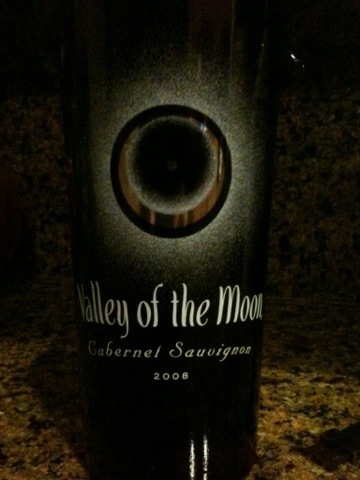 Blackberries and black cherry explode on the nose with hints of smoke and sweet vanilla bean. Focused and richly textured, balanced oak rounds out incredible fruit concentration and structure. 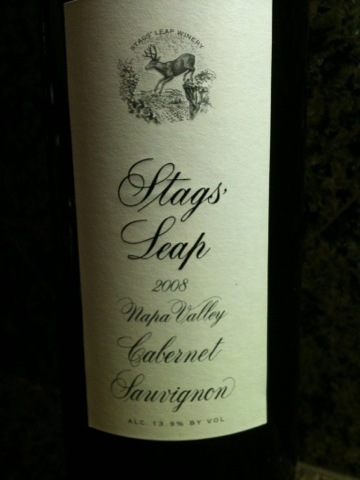 Silky, fine-grained tannins carry through the long, supple finish. 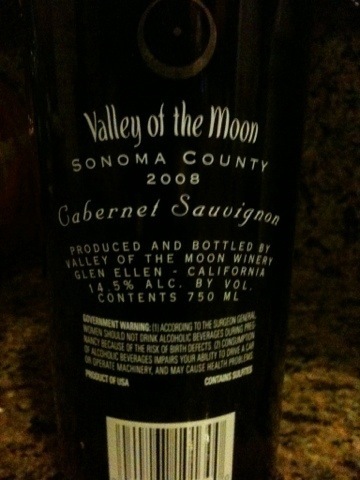 One word describes this wine, WOW! One of the best cabs we have ever experienced. This wine offers not only intensity but structure and concentrated aromas. 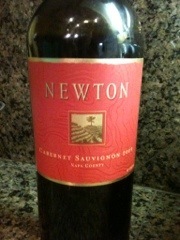 Flavors of rich dark berry fruit, layered with distinct notes of cedar and dark chocolate. We paired the wine with a great ribeye cooked over almond wood and it could not have been better.We had the privilege of touring the William Hill Estate Winery in Napa Valley where we sampled this wine for the first time. If you have an opportunity while in Napa don’t miss out on this extraordinary experience.While this wine is certainly pricier than many of our reviewed wines (around $50 retail), it is well worth the spend. Ok, while I am always a big fan of red wines especially if you can get them at a reasonable price this one leaves a bit to be desired. For around $10 a bottle at Costco, I have to say I am disappointed. 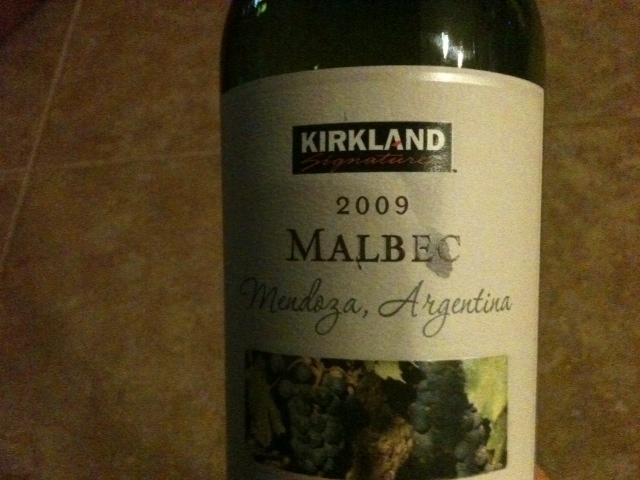 While many Malbec’s from Argentina are generally well kept secrets and Costco does not usually disappoint, we won’t be buying this one again.We had a great pasta dish tonight and ran this bottle through the decanter hoping it would improve when we left it set a while, not so.You generally can’t go wrong with wines from Argentina, but you should pass on this one at any cost. Some information about the bottle. At the heart of Argentina’s most important wine producing province lies Mendoza, called the land of “sun and wine” by locals. It’s a place where orchards and vineyards line quiet country roads against the backdrop of the Andes mountains. 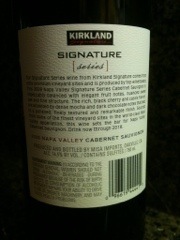 From this high altitude region comes Kirkland Signature Malbec, made from Argentina’s varietal, sourced from low yield, family owned vineyards. The deep purple wine imparts lively dark fruit aromas and a smooth, rich finish. While I am all about supporting local, family owned vineyards any where in the world, I would recommend passing on what is a ok wine at best.